BEAUTIFUL 3 bedroom 2 bath garden home located in the popular Highland Park neighborhood !! This home features beautiful Lumbermill Oak laminate flooring in the living room and kitchen. Enjoy this open concept with the COZY gas fireplace and tray ceilings in the living room along with built in shelves for that special touch . Kitchen features off white cabinets , stainless steel appliances and dining room looks out into the backyard . 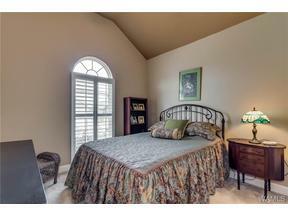 Master bedroom features beautiful tray ceilings and master bath has double vanity. This home has lots of privacy with its wooden fenced in backyard ! Hurry this home will not last long ! !